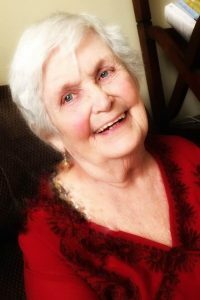 Joan Stackman | Morrell Funeral Home, Inc.
Joan McBride Stackman, 93, Audubon, PA formerly of Slippery Rock passed away on Jan. 25, 2019. Joanie was born November 22, 1925 in Bluffton, Indiana. She earned her education degree from Ball State University. Her favorite teaching position was teaching kindergarten at Har-Mer in the Slippery Rock School District. Joan married R. Robert Stackman on August 17, 1947 in Bluffton, Indiana where they resided. There they had their children, Susan (Richard Black, Grove City, PA), Linda (Gene Wentzel, Boyertown, PA) and Dr. William Stackman (South Bend, IN). Dr. Stackman, History, was employed by SRU and Joan taught in the Slippery Rock School District. He preceded her in death in March of 2013. They had a wonderful marriage of 62 years..
Joan and her husband retired to Arizona. Ten years ago they moved to Shannondell Retirement Community to be nearer to their daughter Linda and her family. The family will observe a private commitment of her life at a later date in Bluffton, Ind. If you would like to make a donation to her memory, select a charitable group involving children or Hospice. To the family…You had the most magnificent person in your life…She imparted magic and happiness to all of those that she reached…Please know that You are all in my thoughts and prayers…and I love the quote from Dr. Seuss !